Need Assistance with a Will or Trust? Estate planning is something that many people put off, forget about or ignore. However, the truth is that everyone should have a living will and a plan for what will happen to any assets and property in the future. Crafting a careful, comprehensive estate plan allows you to decide what happens to your things after your passing, but it also minimizes the stress placed on your surviving family and loved ones. Additionally, you can include provisions that cover situations in which you may be unable to issues decisions, so that others do not have to make these tough choices on your behalf. Ultimately, estate planning primarily benefits your family, but it also gives you peace of mind, since you know that you have done everything you can to provide for and protect your loved ones. If you do not have an estate plan in place, then you should consider contacting an estate attorney to get started today. It is never too early or too late to put a plan in place for your estate. Below, our attorneys discuss the benefits of estate planning and issues to consider. If you have further questions, then feel free to ask the lawyers. Otherwise, to find a local lawyer who can assist you with wills, trusts and other estate matters, then consult our New York listings. Provide for minor children. One of the most important points to clarify in your will is what will happen to your children. You can appoint a guardian and may be able to set up your finances to provide for your children. Protect your assets. Depending on your situation, you may be able to set up a trust or other system to protect your finances. You can also endow funds to organizations, decide who will receive your property and make other decisions about your assets. Avoid probate. If you have no living will or estate plan, then your family will have to go through the time-consuming probate process. Setting up an estate plan can help them avoid this difficulty. Help your family avoid legal headaches. 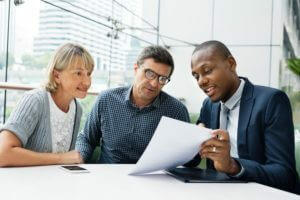 Having a plan means that your family may be able to avoid estate taxes as well as legal disputes. This is often a particular problem if a will exists, but is vague or defective. Ensure your wishes are carried out. You can include you wishes concerning power of attorney and medical decisions in your will. Will. This allows you to name beneficiaries for your assets and make other decisions. Your will should be comprehensive and clear; an estate lawyer can assist you in identifying ambiguities or legal snags. Living trust. If you place your property or assets in trust, then your beneficiaries can avoid probate and possibly estate taxes. Health care. You should state your wishes concerning your health care and medical treatment, in case you are unable to make these decisions in the future. A “living will” includes declarations and power of attorney for health care specifically. Power of attorney. Appoint someone you trust who can handle your finances in case of your incapacitation. Guardianship and property issues for minor children. If you have minor children, then you should appoint a legal guardian, in case of your passing. In some circumstances, you may also make plans for your child’s property as well. Beneficiaries for bank accounts, business interests and other assets. You may be able to set up your loved ones as beneficiaries for your bank accounts, retirement plans and other assets. This allows your heir to inherit these assets directly. Life insurance. If you do not have life insurance already, then you should consider buying some when you are setting up your estate plan. Estate taxes. An estate lawyer can advise you on estate tax issues. In many cases, you can craft an estate plan that minimizes the taxes your beneficiaries will have to pay. However, in the vast majority of cases, your heirs will owe no estate taxes anyway. Funeral arrangements. You can make final arrangements for yourself in your will or appoint someone to do so on your behalf. Document storage. The last step of setting up your plan is to gather all relevant paperwork in a safe, accessible place. These documents may include your will, trust paperwork, insurance policies, deeds for real estate and stocks, bonds and other investments. You should also include information about any outstanding debts. More Questions about Estate Planning? Ask the Lawyers! If you need help setting up a will or trust in New York, then our local attorneys may be able to help. Additionally, our attorneys can explain the often-complex rules and issues associated with estate planning. Feel free to consult our local listings and/or ask the lawyers your estate law questions.